Did you know that 4 in 10 Graduate Students self-report being more stressed than they can handle? Graduate-Professional students have stories about their everyday lives that include problems with academic advisors, TA/GA/RA experiences, administrative nightmares and financial issues. Grad School is by no means a cake-walk, and sometimes it takes a toll on us physically and emotionally. 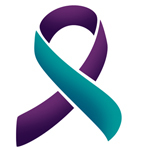 This week is National Suicide Prevention Week. While suicide is a hard thing to talk about, it’s an issue we must address. We must reaffirm that there are resources available to deal with the stress and depression that creep into our lives. We also need to reassure our students, and ourselves that we are not alone in this situation. NAGPS has had a long partnership with Grad Resources, an organization committed to supporting the emotional needs of graduate-professional students. We encourage the spread of this resource “The National Grad Crisis Line”, for students who are facing high stress and anxiety to talk with a professional counselor. Students can do this for free, and confidential assistance by calling 1.877.GRAD.HLP. Don’t let your friends think there’s no help during their times of stress and despair!! The National Grad Crisis-Line (877-GRAD-HLP) has been a supplemental sources of support to on campus resources for grads. For 15 years there has been a trained professional counselor waiting for your call to talk about your grad struggles. To improve those services we have changed the number to 877-GRAD-HLP (877-472-3457).